In patients with diabetes mellitus, even moderate levels of regular exercise can reduce risk of death by up to 38%, according to a newly published study that combines prospective cohort data with a meta-analysis of 12 previous studies. The authors, led by Diewertje Sluik, MSc, of the German Institute of Human Nutrition Potsdam-Rehbrücke, in Nuthetal, Germany, note that physical activity (PA) has long been considered a cornerstone of diabetes management. However, they write, "Several prospective cohort studies have found that higher PA levels were associated with reduced CVD [cardiovascular disease] and total mortality rates, but conclusive high-level evidence is lacking." Therefore, the researchers conducted a prospective cohort study of 5859 patients with diabetes who had been enrolled from 1992 to 2000 in the ongoing European Prospective Investigation Into Cancer and Nutrition Study (EPIC). Participants ranged in age from 35 to 70 years. "No information was available to distinguish type 1 and 2 diabetes mellitus," the authors write. "To be considered diabetic, a self-reported diagnosis at baseline had to be confirmed by at least 1 additional information source." The researchers used multivariable Cox proportional hazards regression models to assess how patients' reported leisure-time physical activity, total physical activity, and walking were associated with cardiovascular disease and total mortality. They found that total physical activity was associated with lower risk of CVD and total mortality. "Compared with physically inactive persons, the lowest mortality risk was observed in moderately active persons: hazard ratios were 0.62 (95% [confidence interval] CI, 0.49 - 0.78) for total mortality and 0.51 (95% CI, 0.32 - 0.81) for CVD mortality," the authors write. Leisure-time physical activity was also associated with lower total mortality, and walking was linked to reduced risk for mortality from cardiovascular disease. To further assess the association between exercise and mortality, the researchers also conducted a meta-analysis of 12 previous prospective studies, which had been conducted through the year 2010. All studies focused on various aspects of how physical activity affects diabetes. "In the meta-analysis, the pooled random-effects hazard ratio from 5 studies for high vs low total PA and all-cause mortality was 0.60 (95% CI, 0.49 - 0.73)," the authors write. "These associations are in line with those found in the general population, where PA relates to a 33% lower risk of overall mortality and a 35% lower risk of CVD mortality compared with inactivity." The investigators conclude that evidence from their present study, coupled with data from the meta-analysis, supports the widely held belief that physical activity cuts mortality risk in people with diabetes. 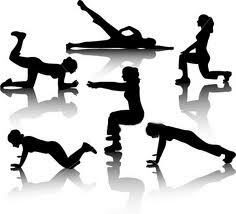 However, they note that patients with diabetes often have trouble adhering to exercise programs. With that in mind, they say, "...Future research should elucidate the determinants of physical inactivity and design successful strategies to promote active lifestyles." In an editorial accompanying the study, Mitchell Katz, MD, of the Los Angeles County Department of Health Services, in California, says it is important for physicians to be aware of the physiologic effects and benefits of various types of exercise, so they can appropriately counsel their patients. "Some might question whether providing exercise prescriptions is really the job of the practicing physician, a fair question given that we are all trying to do more in our 15-minute visits," Dr. Katz writes. "But having read the meta-analysis by Sluik et al., I cannot help but note that none of the time I spend trying to decide whether to increase the dose or add a new medication for my patients with type 2 diabetes is likely to result in a 38% reduction in all-cause mortality." Arch Intern Med. Published online August 6, 2012.